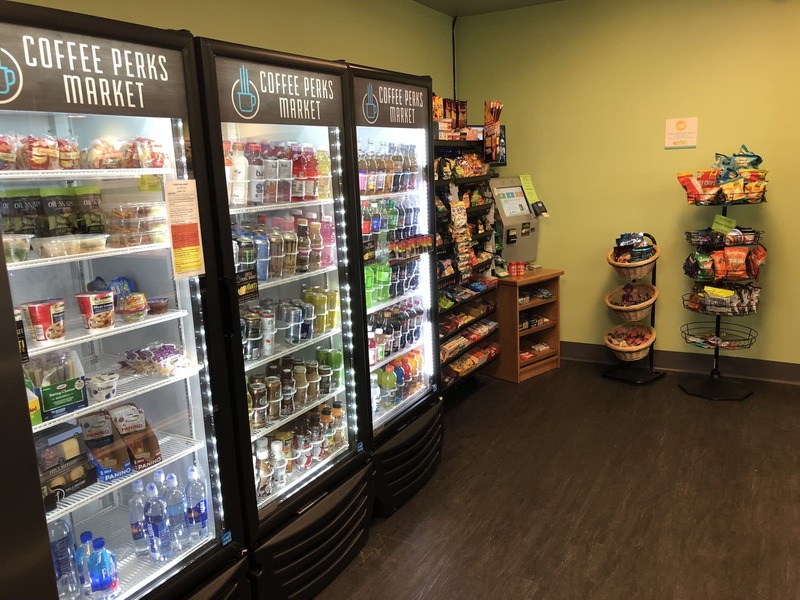 "IT'S LIKE HAVING A CONVENIENCE STORE RIGHT IN YOUR WORKPLACE, ONLY BETTER"
Markets are certain to modernize and improve healthy snack options for your associates. 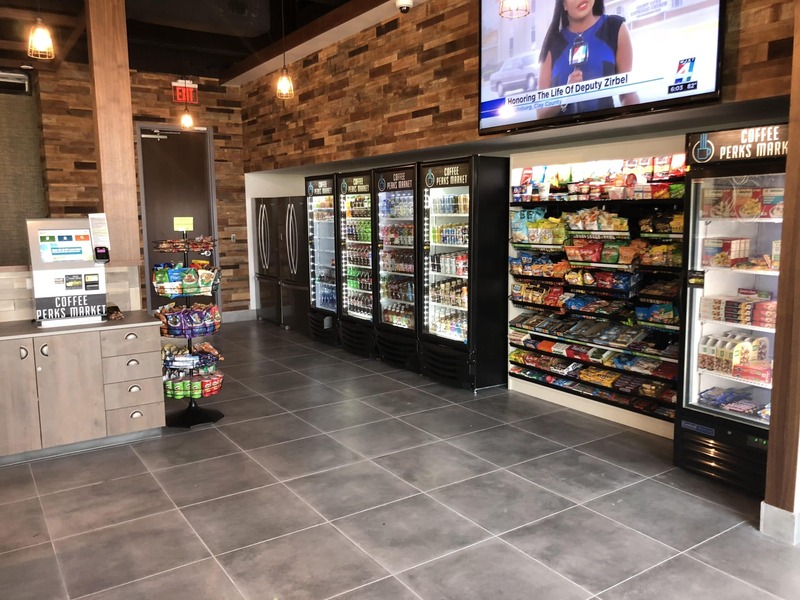 The open market floor plan allows your employees access to over 100 exciting healthy choices . 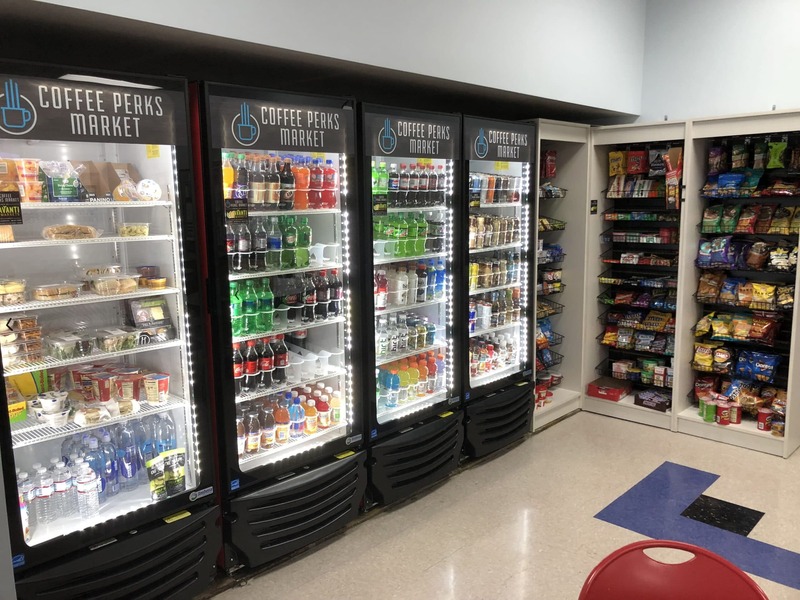 All employees can shop, scan, and pay with a Coffee Perks Market card, which includes access to online accounts for tracking purchases. Funds can be loaded onto the market cards securely, either online or directly from the kiosk. One market can provide limitless opportunities for a single location with up to 1200 employees! 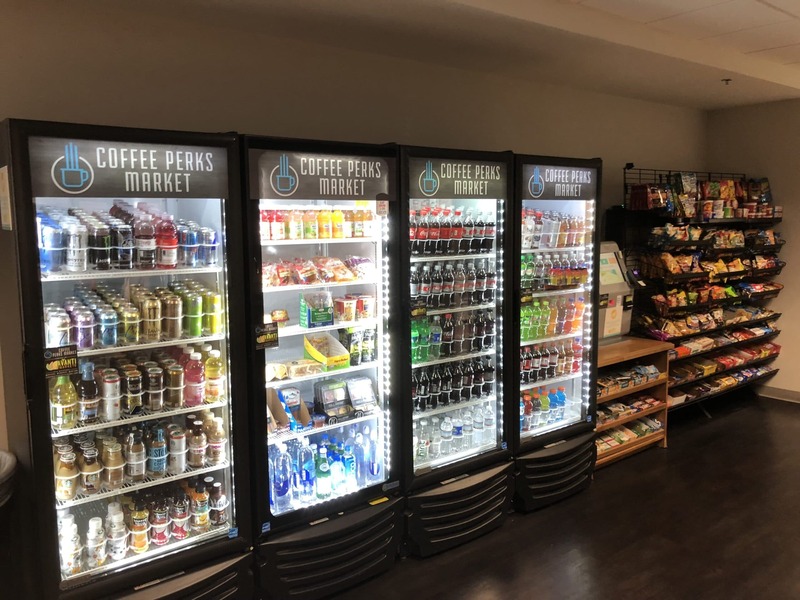 We have partnered with a local Jacksonville catering company, The Perfect Pear, to achieve a culinary escape from the normal vending style foods. 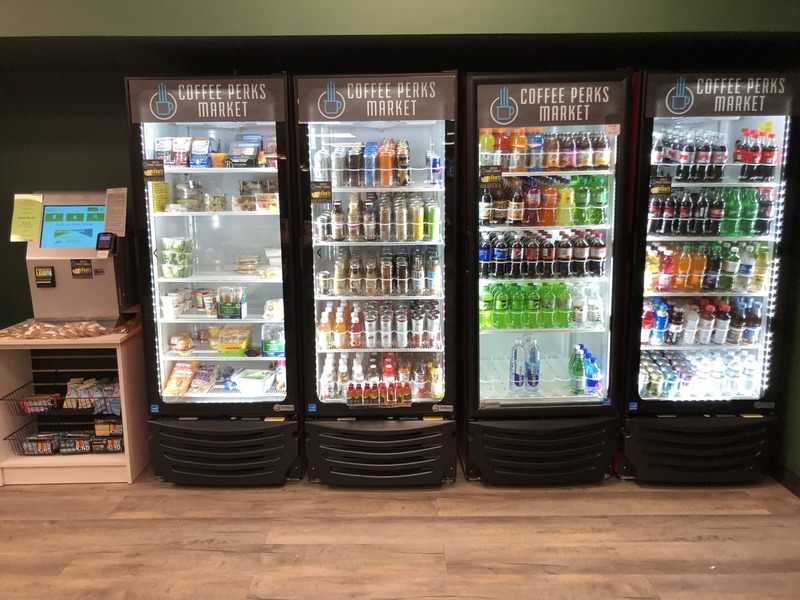 Branded THE EATERY by Coffee Perks we provide a new menu each month to ensure our customers receive the variety they demand. Our proven delivery model will make life easier for our market users. Through our market portal we allow direct contact with the market managers providing 100% customer satisfaction on all purchases.